« Why Take a Photographic Workshop? The sun shone through the tress and created magical highlights as the snow flakes turned to water droplets. Normally when snow falls in the Vancouver area, it’s quickly followed by rain. This winter day, however, it was followed by bright, beautiful sunshine. I found myself in a local park, busy with my camera. I made a few photos that documented the beauty of the fresh snow in the park but really enjoyed working with my lenses wide open, creating soft, out of focus highlights in the background. The image above is my favourite. 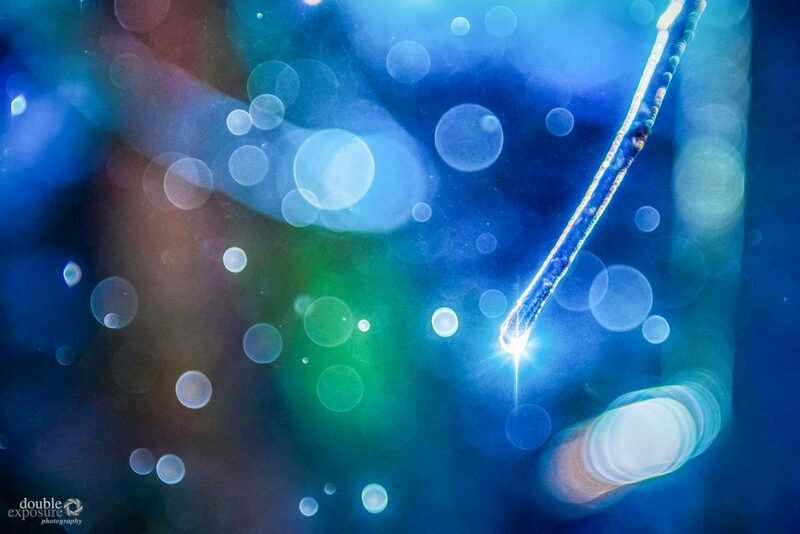 There’s only one thing in focus to give the viewer a clue to what is going on, an ice-encrusted twig. The circular highlights are water drops, falling from the trees as the sun melted the snow. The rich colours of the forest create the backdrop. This images illustrates what we try and help people accomplish in our Develop Your Creative Vision workshops. Find something that interests you, photograph it, and then photograph it again, differently, seeing beyond the literal. If I had been a beginner photographer, I doubt that I would have found this image in the park. But, with experience and knowledge of the photographic tools available to me, as well as time and patience and a willingness to play, I came home with an image I just may want to hang on the wall. It reminds me of the joyful time I had when a Vancouver snowfall was blessed with sunbeams.